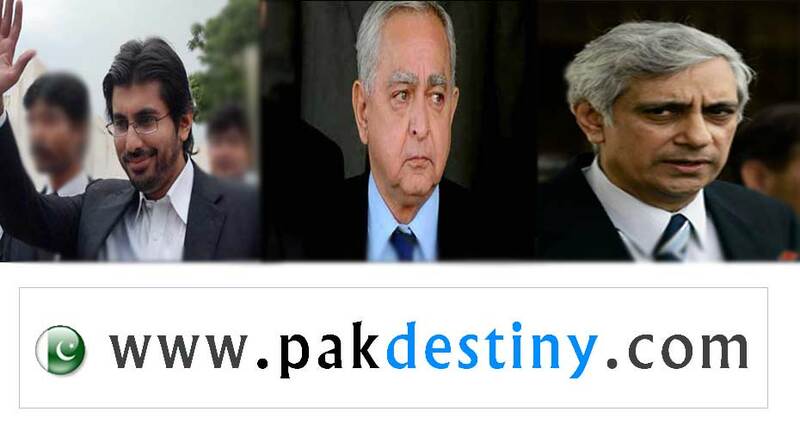 Islamabad, News Desk (www.pakdestiny.com) Arsalan Iftikhar, son of Chief Justice Iftikhar Muhammad Chaudhry, has finally admitted his ‘crime’ before the Dr Shoaib Suddle Commission that he had not only availed ‘foreign visits’ arranged by property tycoon Malik Riaz but also got other benefits. According to the commission’s preliminary report, Arsalan Iftikhar admitted that he had received ‘favours’ from Malik Riaz, his friend or his son-in-law, but it does not answer why he had accepted these and the businessman’s claim that he had ‘favoured’ Arsalan in order to get court cases settled in his favour. The report also makes a mention of the Bahria Town, a real estate company owned by Malik Riaz. He is accused of land grab, blackmail, extortion, cheating, fraud and tax evasion in affairs of the town. Malik Riaz’s charity work is highlighted in the report and questions raised about how he could feed 150,000 people every day (as he claimed) for which Rs1.09 billion was spent this year, whereas his total declared income for tax purposes was Rs760 million. The report provides details of bank accounts of Malik Riaz, his friend Ahmed Khalil and son-in-law Salman Ahmed Khan. Arsalan Iftikhar admitted that he had visited Monte Carlo from London in July 2010. He was accompanied by Ahmed Khalil, a friend of Malik Riaz’s son-in-law Salman Ahmed Khan and Sara Hanif, wife of Ahmed Khalil. The report said Malik Riaz, in his statement, had claimed spending Rs342m on Arsalan Iftikhar, but evidence about only Rs5.58m was provided to the commission. According to Malik Riaz, Rs8.86 million was spent on the first visit of Arsalan Iftikhar (from London to Monte Carlo) and borne by his son-in-law. The report confirmed that the commission received evidence of payment of Rs1.86m through a cheque, credit card and electronic transfer by Salman Ahmed. However, it did not get evidence about the remaining Rs6.98m. Arsalan Iftikhar also admitted that he had travelled to London along with his family on June 19 last year and stayed there till July 21. Board and lodging as well as transport arrangements were made by Salman Ahmed. A total of Rs5.9m was spent on the visit and documentary evidence of Rs3.7m expenditure provided to the commission. However, Arsalan Iftikhar denied a third visit to London allegedly financed by Malik Riaz in March last year. He submitted an evidence of expenditure of Rs692,949. According to the report, Arsalan Iftikhar provided income tax returns of two firms, the F&A Enterprises and FAE. He declared income, as a salaried person, only for 2010 and 2011 of Rs2.8m. “Prima facie, investigation into the bank accounts shows deposits of Rs58.9m which means that deposits of Rs56.1m are disproportionate to his declared income,” the report said. However, further investigation into the transactions of the accounts showed that cash payments into them had been made to the tune of Rs1.1m only. These cash deposits don’t match with the alleged cash payment of over Rs337 million made to Arsalan Iftikhar on behalf of Malik Riaz, the report says. Malik Riaz Hussain alleged that Arsalan Iftikhar had admitted in a TV interview that he had assets worth Rs900m. Riaz alleged that the assets included the over Rs337 million that Arsalan had extorted through his son-in-law during 2010 and 2011. Arsalan Iftikhar said the claim was false and misconceived. What he had meant was that his business had entered into telecommunication contracts worth Rs900 million. Some work on the contracts had been completed and the rest was under way and the profit was yet to be determined, he said. He also claimed to have paid Rs2.1m in tax for 2010 and Rs3.5m for 2011 on account of his business. The commission has approached the authorities in the United Kingdom, seeking mutual legal assistance to ascertain the correct net worth, including money held in bank accounts in the UK, by all concerned. Their response is likely to take several weeks, the report said. THIS ARTICLE/NEWS is written by another ****** of Malik Riaz!! Why have u not mentioned that out of 5 million of expenses, 4.5 million have already been paid back and only 0.5 million rupees are due to be paid back by Arsalan Iftikhar……this fact is also discloed in the COMMISSION REPORT!! GO TO HELL SON OF A *** WHOEVER SKIPPED THIS FACT IN ORDER TO CREATE CONFUSION AND MALIGN ARSALAN IFTIKHAR……MALIK RIAZ IS ALREADY *** BIGTIME! !